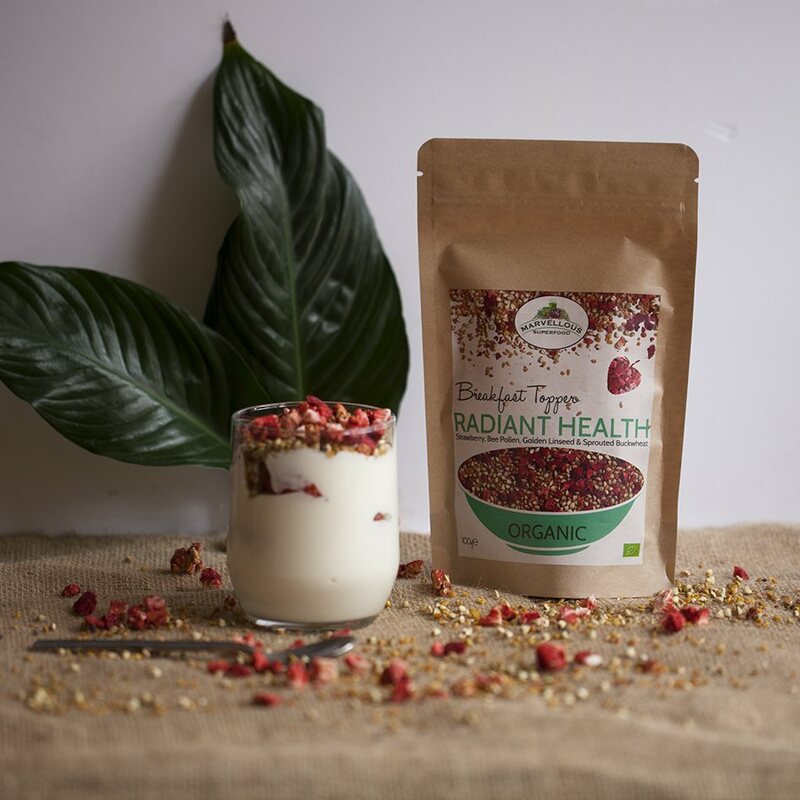 Radiant Health is a glorious mix of sprouted buckwheat, bee pollen, golden linseed and freeze dried strawberries. Perfect to sprinkle on fruit, yoghurt, cereal or pancakes or to add to smoothies. This crunchy, fruity combo is bursting with B vitamins, antioxidants, vitamin c and protein, it's gluten free, dairy free, 100% organic and free from refined sugar. Marvellous Superfood is a multi-award winning Welsh family business specialist in high quality, all natural food, drink and superfood. Their products are entirely plant based and sweetened with nature. sprouted buckwheat, bee pollen, golden linseed and freeze dried strawberries. 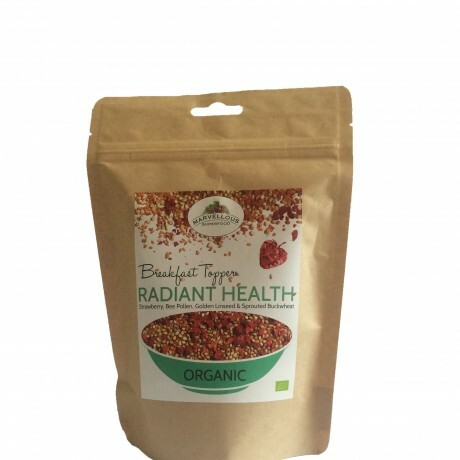 This product is dispatched by Marvellous Superfood. This item has a shipping weight of 200g.